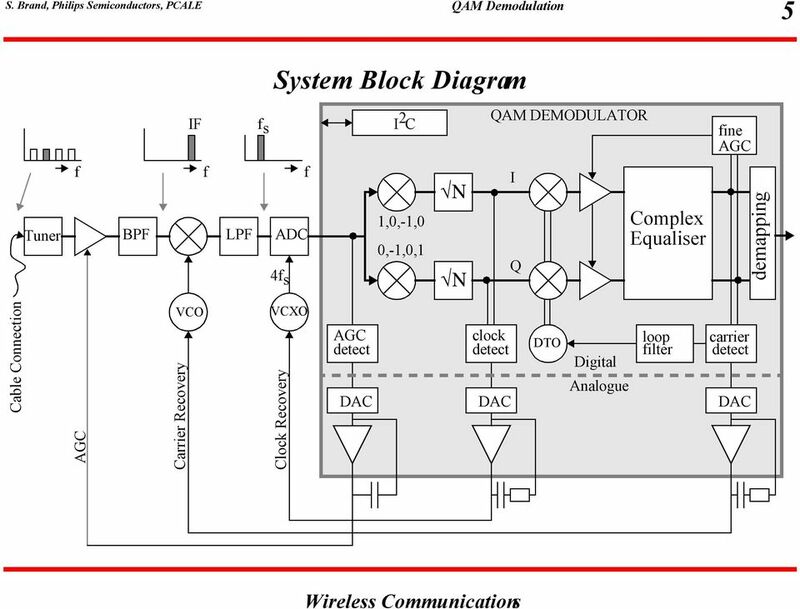 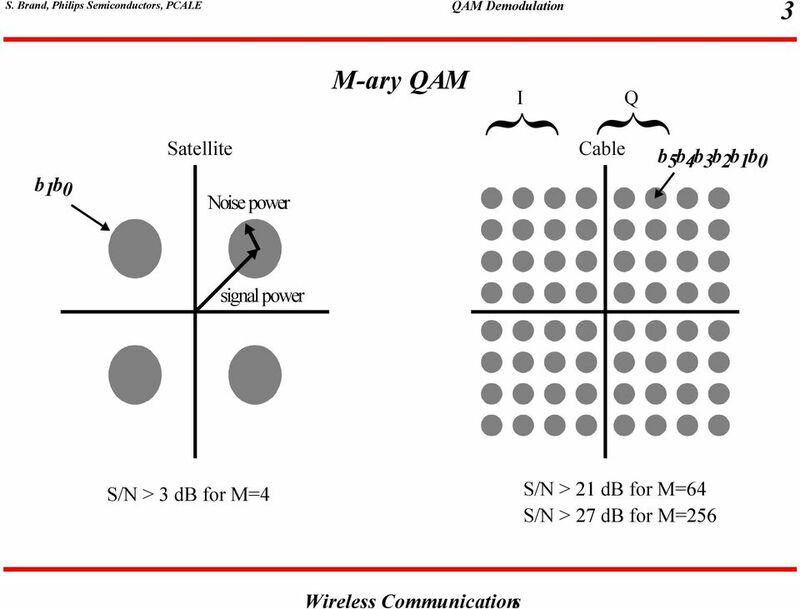 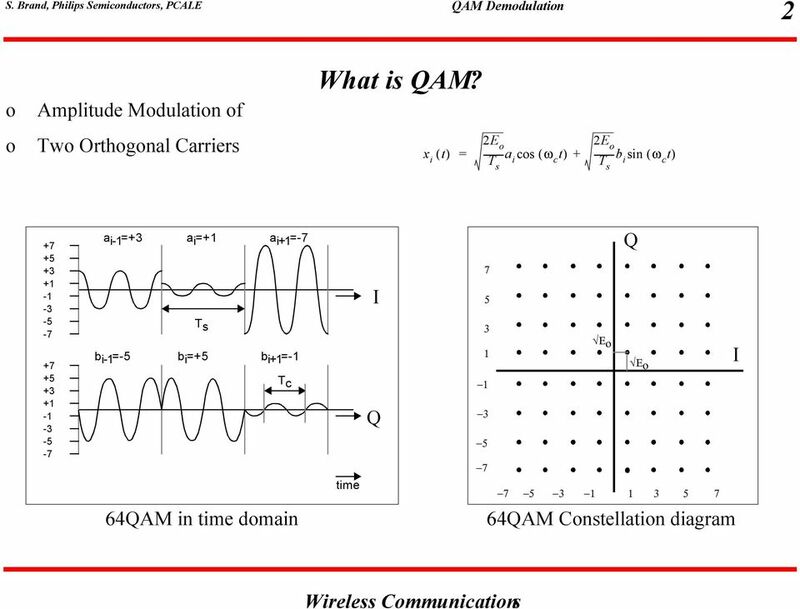 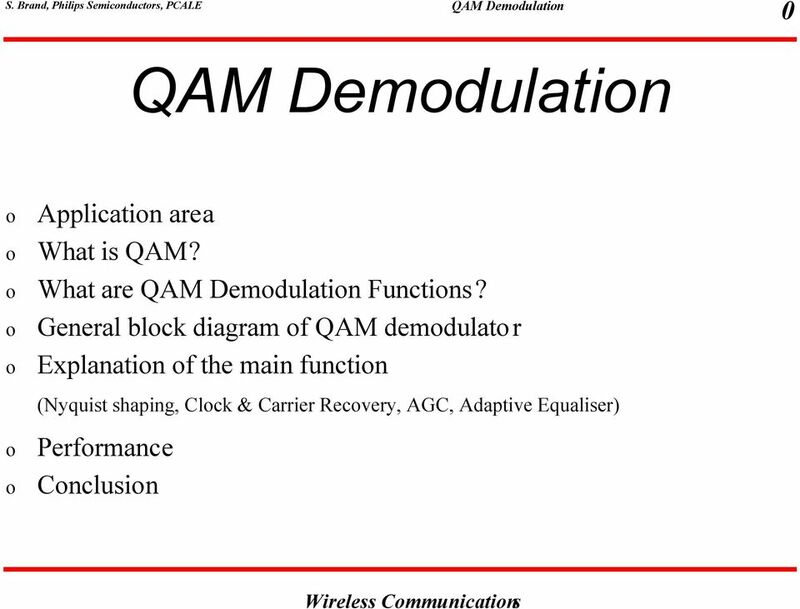 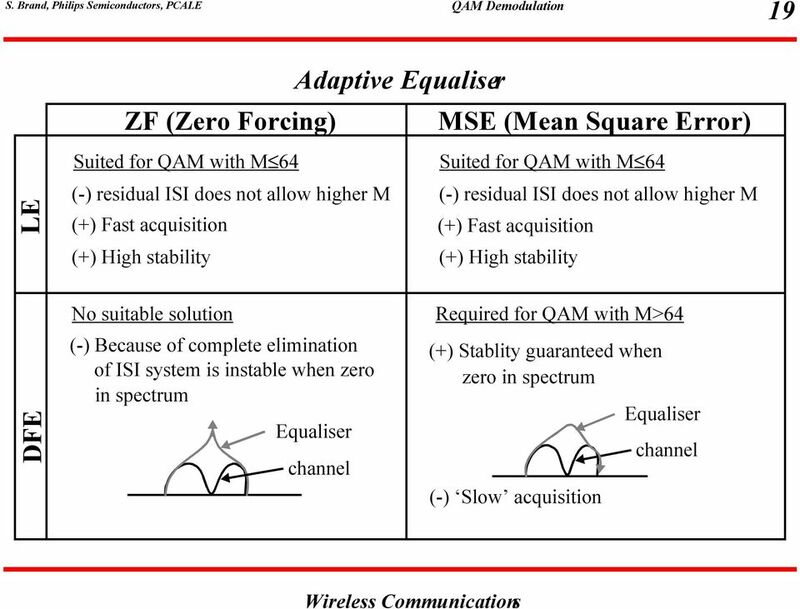 Download "QAM Demodulation. 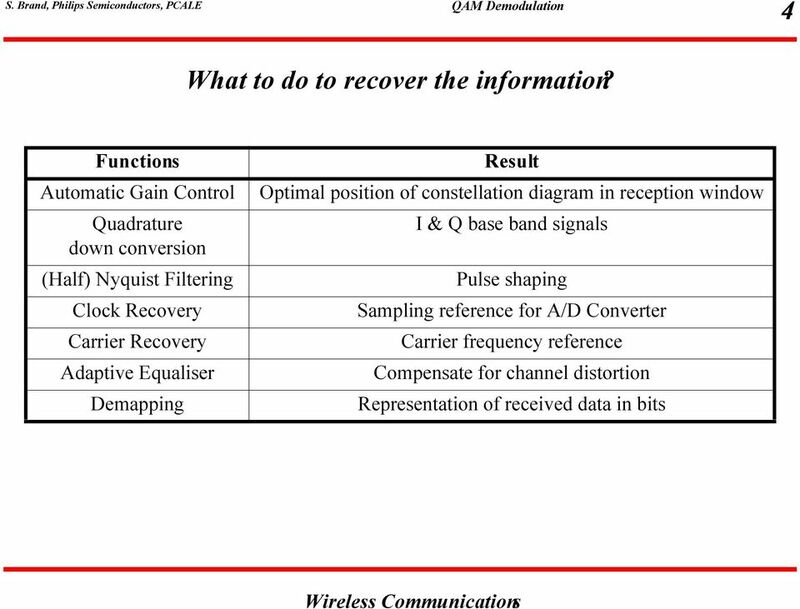 Performance Conclusion. 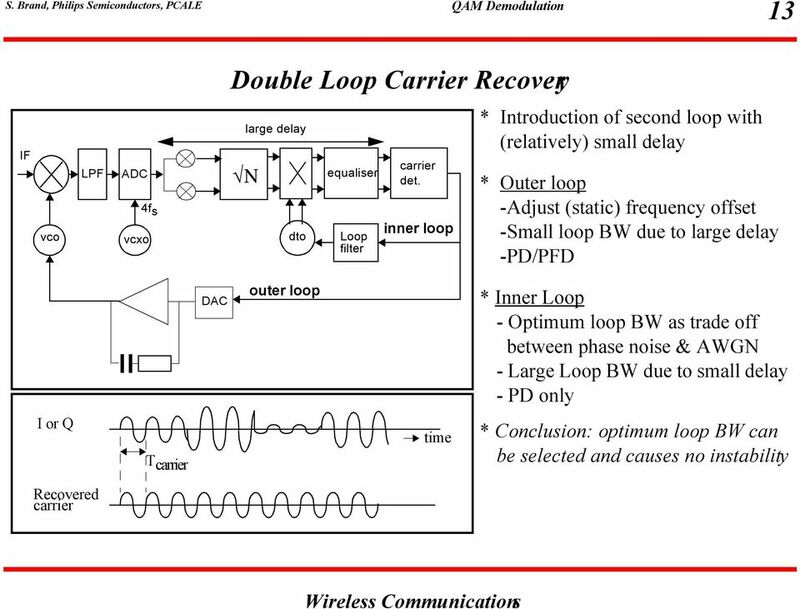 o o o o o. 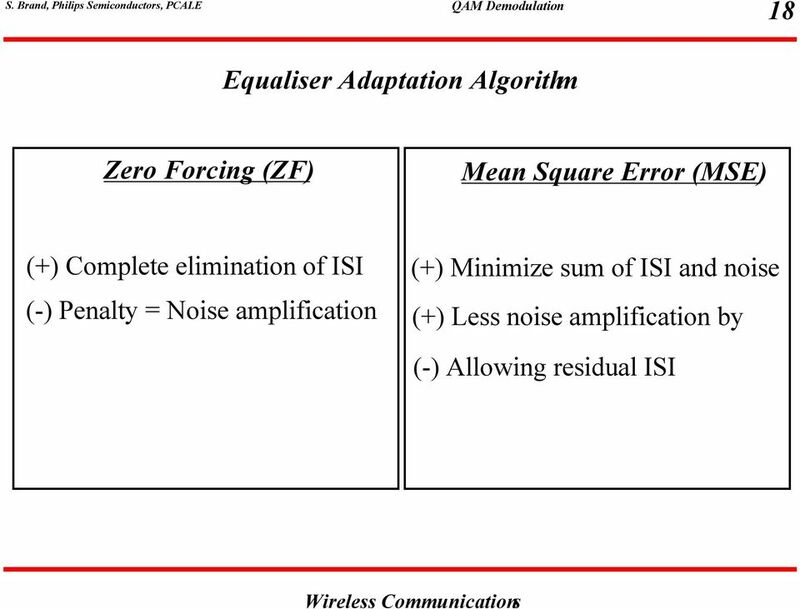 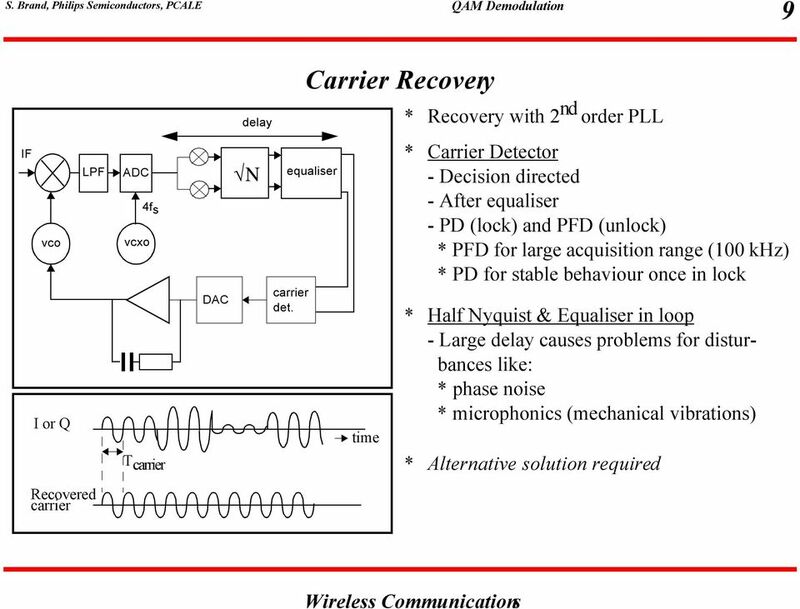 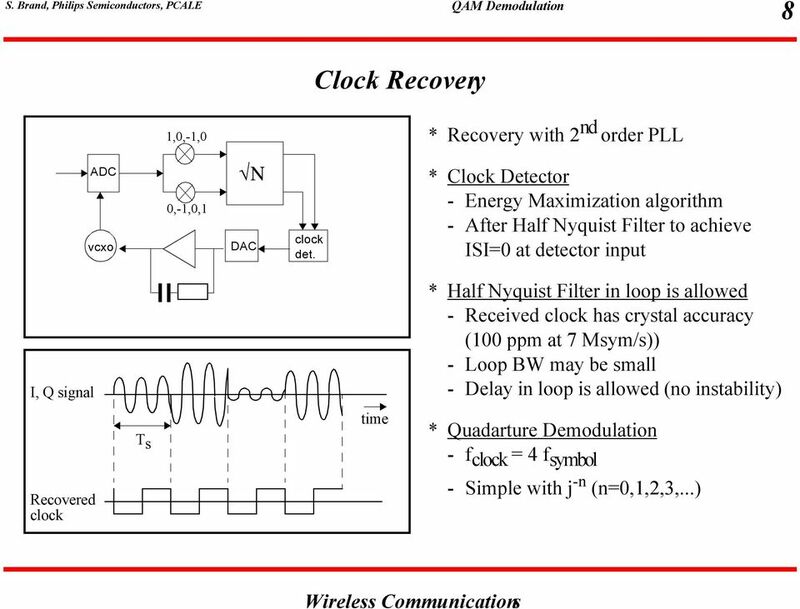 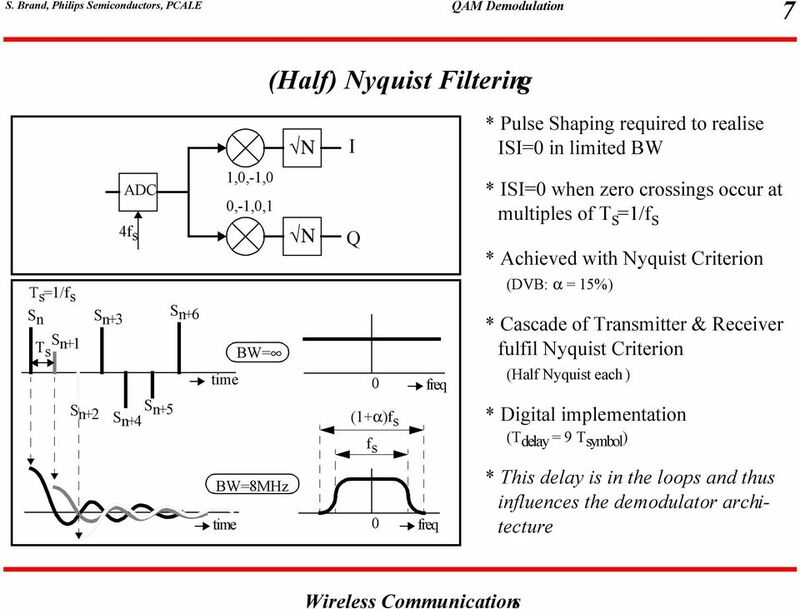 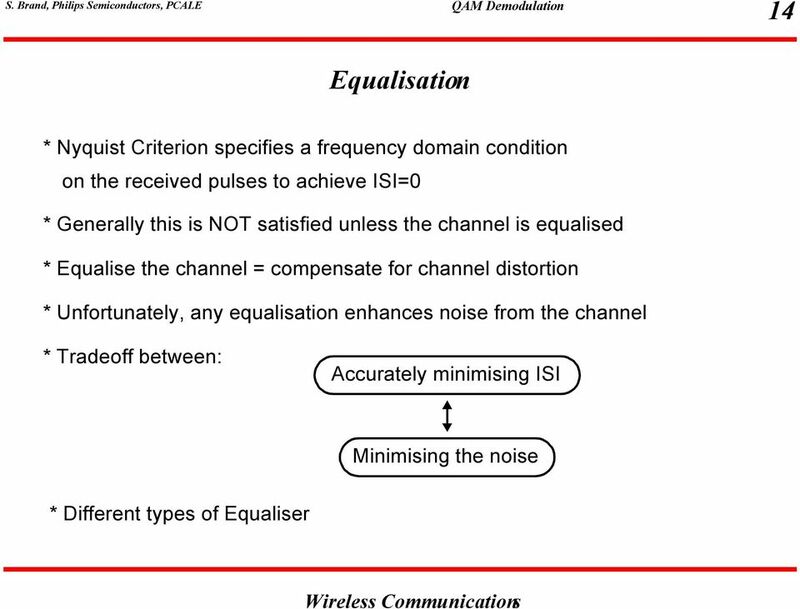 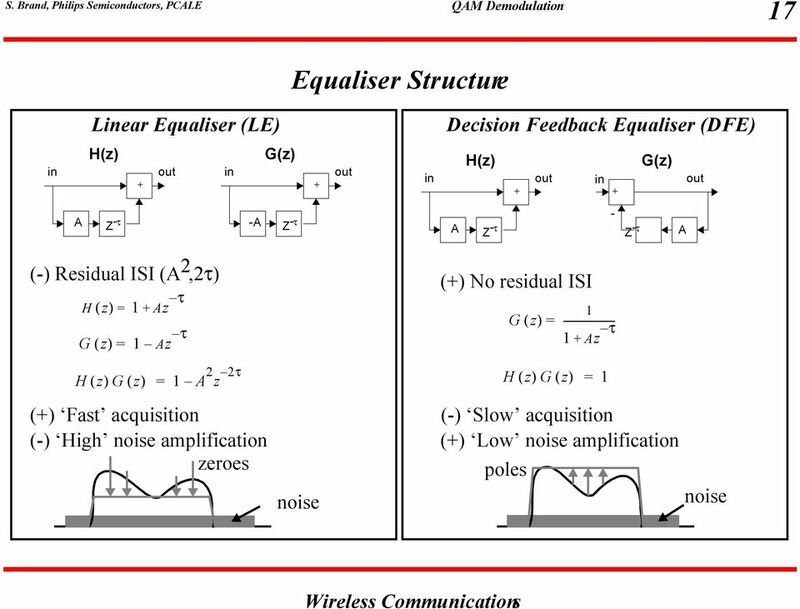 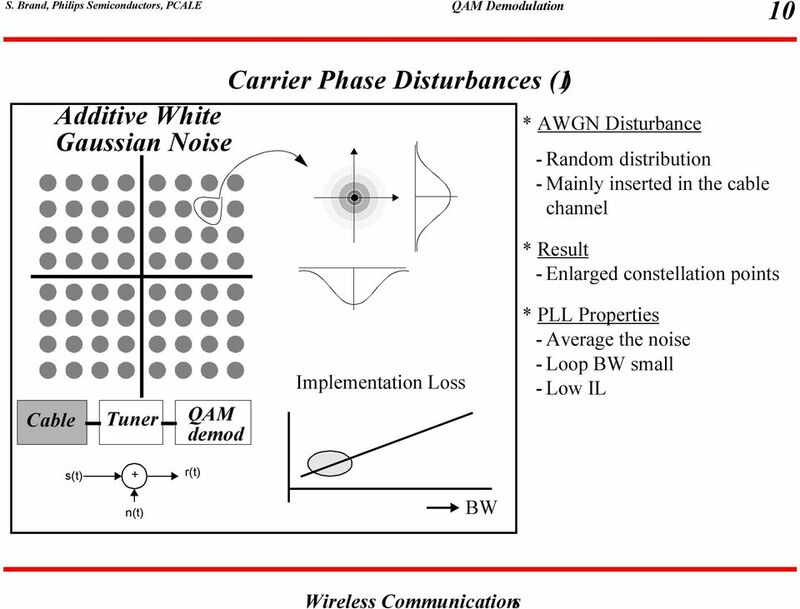 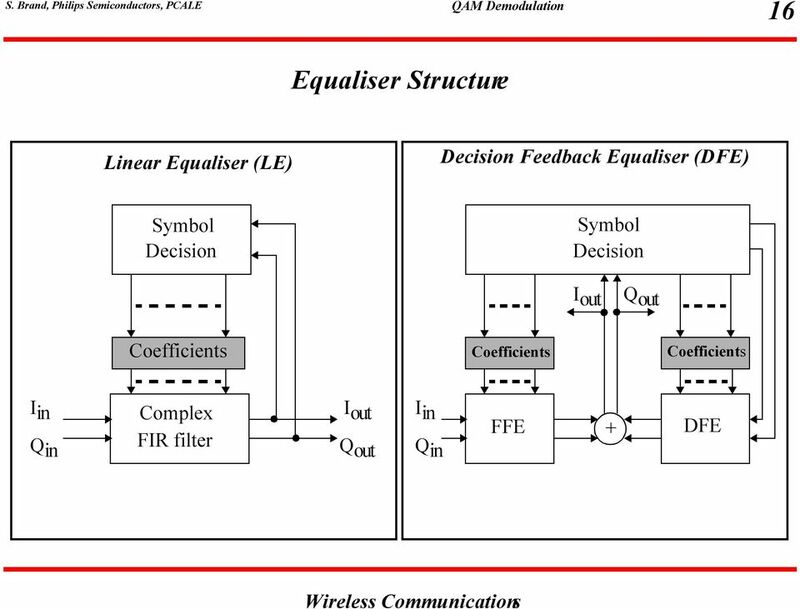 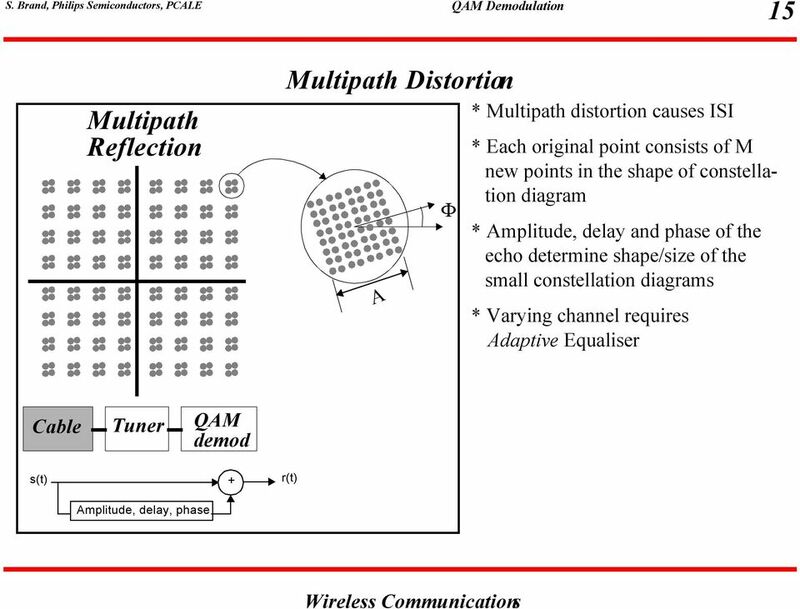 (Nyquist shaping, Clock & Carrier Recovery, AGC, Adaptive Equaliser) o o. Wireless Communications"
13 12 Implementation Loss [db] AWGN+Phase noise Phase noise versus AWGN AWGN * Loop BW trade of between: a. 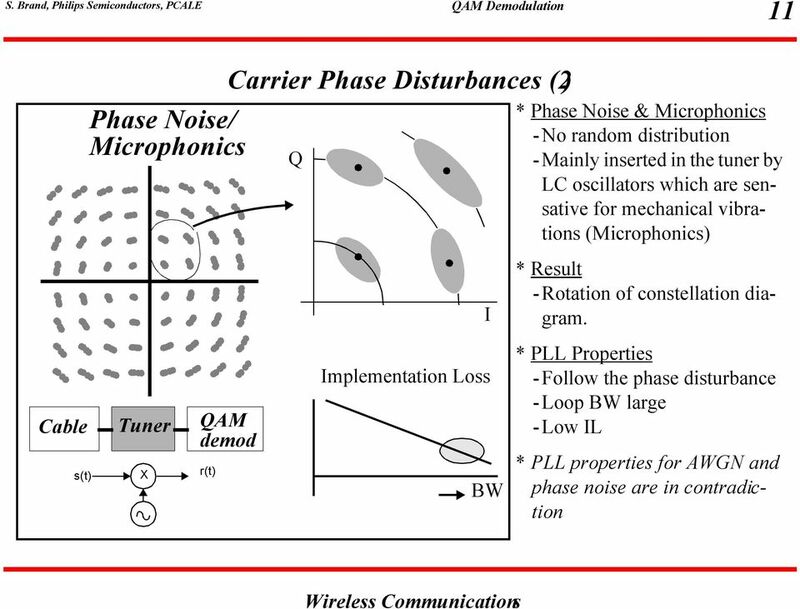 Ability to follow phase noise b. 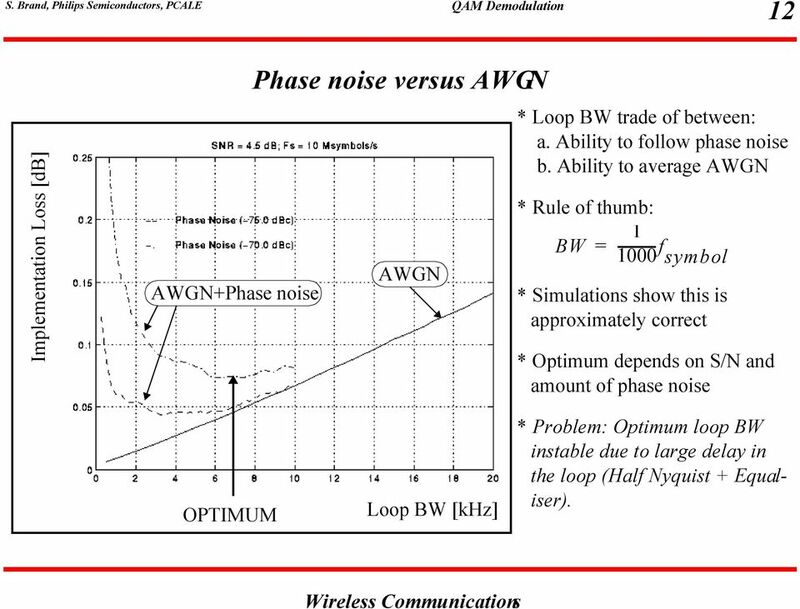 Ability to average AWGN * Rule of thumb: 1 BW = f symbol * Simulations show this is approximately correct * Optimum depends on S/N and amount of phase noise OPTIMUM Loop BW [khz] * Problem: Optimum loop BW instable due to large delay in the loop (Half Nyquist + Equaliser). 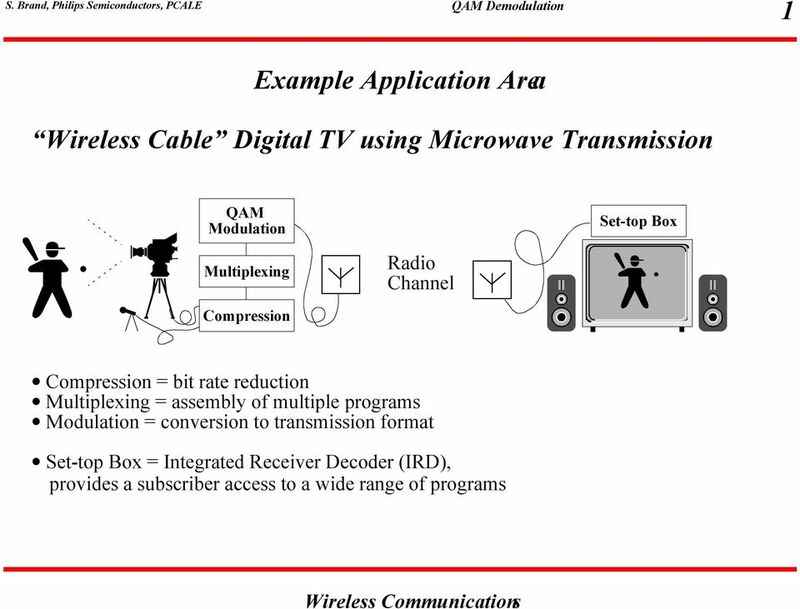 RESULTS OF THE LABORATORY EVALUATION OF AN 8 MHz ADTB-T TELEVISION SYSTEM FOR TERRESTRIAL BROADCASTING FINAL REPORT (VERSION 3. 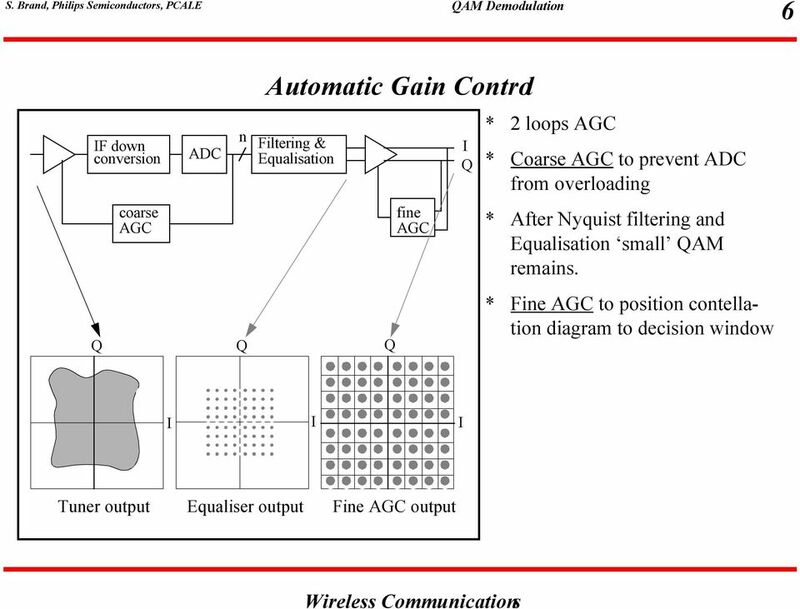 Optimizing VCO PLL Evaluations & PLL Synthesizer Designs Today s mobile communications systems demand higher communication quality, higher data rates, higher operation, and more channels per unit bandwidth.